When Effie was born (and indeed whilst I was pregnant) I was completely blown away by all the general loveliness that we were surrounded by. Be it gifts, invaluable necessities, home cooked meals, hand me down clothing and bedding or friends on hand to look after Milo or listen to my pregnancy/newborn mama woes, I have never felt so loved and surrounded by friends and family before. There was nothing I could do to repay all this kindness, but I could thank each and every person who delivered cake, sent parcels and generally showered us with love. What better way thank someone than with handwritten notes. 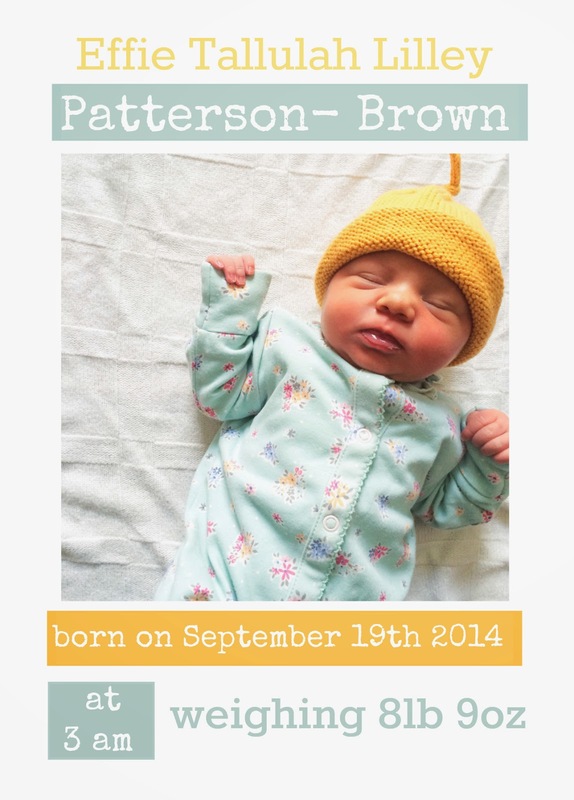 So I chose my favourite picture of our fresh little one and used PicMonkey to make up a little birth announcement. As I planned to use Moo to get the cards printed, I took the measurements of their greeting cards, made my announcement to that specification and put my order in. I've been using Moo for more years than I can remember. They were the first business cards I ever ordered and I have never ordered my business cards from anywhere else in all that time. So I knew the print quality would be good and I was not disappointed. The cards are gorgeous and I really loved how the whole thing turned out. I had plenty of time in those early weeks, where I did nothing but sit and feed the baby, I quickly discovered I could write quite well when she was feeding on my left side. So I spent that time lovingly writing all those thank you cards. PS see that pencil case there? I'll have the crochet pattern for that on the blog in the next few days! The next thing to tackle was all the thank you's Milo needed to do. There was no way I was going to be able to get him to draw beautiful pictures for every single person who had kindly included him in the gift giving. He just isn't really much of a drawer, sometimes he'll blow me away with gorgeous pictures, but for the most part he's simply just not interested in drawing. So instead I asked him for one especially lovely picture, really really special, that I could send to everyone. 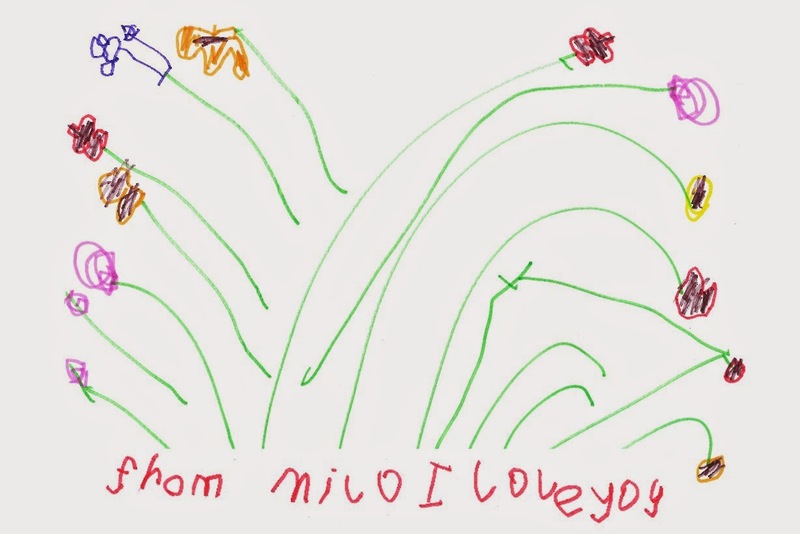 He chose to draw some flowers and did a beautiful job. I scanned the drawing into my computer and printed off as many copies as thank you's he needed to write and set about getting him to write his own personalised message on each and every picture. Finally, yesterday, I managed to deliver the very last of the cards to their recipients, it only took me nine and a half weeks! I'm pleased to say I still have a couple of the cards left so I'm saving one to frame for Effie's bedroom when she eventually has a room of her own.